Lisa Moore LIVE at The DiMenna Center in New York City. Wednesday, October 17, 2018, 8:00 PM @ The DiMenna Center in New York City, Celebrated pianist Lisa Moore will World Premiere her new CD: Julián De La Chica's Preludes Op. 8 (for piano and synthesizer) produced and published by Brooklyn based, independent record label Irreverence Group Music (IGM). For the first part of the concert, Ms. Moore chose works by American composer Philip Glass: Etude No. 2, Metamorphosis II and Satyagraha Act III, Conclusion. Australian pianist Lisa Moore has been described as “brilliant and searching… beautiful and impassioned… lustrous at the keyboard” (The New York Times), “visionary” and "New York’s queen of avant-garde piano” (The New Yorker). Ms. Moore will perform with composer De La Chica on synthesizer. Lisa Moore's repertoire and discography include a wide range of piano literature, from baroque to modern - where experimental music, minimalism, and post-minimalism play a important role. Her oeuvre continues to grow with the addition of this album, dedicated to New York-based Colombian composer Julián De La Chica’s Preludes Op. 8 for piano and synthesizer. These 14 preludes are an example of “sensorial-minimalism” and perhaps they are a continuation of the composer's exploration in his two recent cycles: Nocturnal & Circular Images Op. 5 for piano (performed by the composer himself), and Experimentelle und Unbestimmte Lieder Op. 9 for soprano, piano and synthesizer (recorded by American soprano Rachel Hippert). In these works, and his piano Preludes, Mr. De La Chica organically oscillates between post-minimal and ambient music. With the constant evolution of music, each epoch engenders new bodies of both performers and audience. In this album, Ms. Moore presents a form of piano art that challenges itself and views virtuosity as a technical practice guided by the search for sound. The repertoire ultimately becomes a way to forge the pianist’s body and way of listening, and it evolves side by side with the creation of sound in time. Every new school exists because it engages in a dialogue with tradition. Italian pianist and musicologist Luca Chiantore reminds us, for instance, that “what is modern about Beethoven’s research is that which the music score does not say: a reflection of the physiological components of the performance, the equilibrium of forces that the performer establishes with the keyboards, something that can also be produced in pages of great simplicity” (Beethoven al piano, 2010). I daresay, without a trace of historiographical reserve, that Lisa Moore’s work exemplifies that dialogue between exploration and the rigorous development of traditional performance practice. The composer proposes ideas, then Lisa Moore’s performance creates a dialogue between those ideas and her performance and sound development. Essentially, what the score does not say exists in Lisa Moore’s unique sound as a pianist, and is what invites us to listen to these Preludes within our living time. CutCommon Magazine, The new generation of Classical Music. Lisa Moore chose for the first part of this concert, works by American composer Philip Glass, some of which are included in her solo CD Mad Rush (OMM - 2015). In her interview with CutCommon Magazine, she mentions: "having recorded the Philip Glass album, Julian's Preludes Op. 8 seemed a natural follow-on and continuation from that genre". According to De La Chica, a great admirer of Glass' and Moore's work, Lisa was a pioneer in professionally recording Glass' piano works and it was in the CD Concert Release of Mad Rush that that both musicians met. "It was more than obvious, and I think it was just a matter of time, that Lisa recorded Glass' music. I waited a long time for that, and I knew it was going to be great. When I saw Lisa would perform in New York City releasing this album, it was the best news to me. Glass and Lisa, a great marriage. That day I had the opportunity to meet her. That's why I think it was very special that she has chosen to add Glass' music to the world premiere of the Preludes Op.8. The new album from star new music pianist Lisa Moore captures iconic piano works from the catalogue of Philip Glass including Mad Rush, Metamorphosis Nos I-V, Etude No 2, the finale from Glass' opera Satyagraha and Closing from the Glass classic Glassworks. Lisa Moore is the preeminent new music pianist of her time having played with or for the foremost composers and ensembles of the past half-century. Her journey to the solo piano repertoire of Philip Glass is propitious as there's a growing interest in this most intimate part of a very public composer's body of work. Moore is the ideal advocate and interpreter. Perhaps the most astonishing aspect of this album is Moore's performance itself. 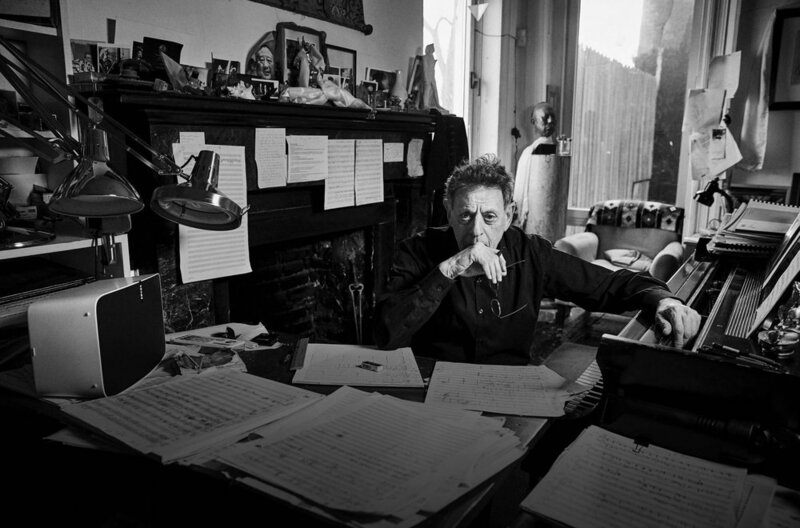 When one hears Philip Glass perform his own piano works we get at the core issues of performance and interpretation - often Glass's own performances are marked with great amount of idiosyncratic rubato that's not indicated in the notated score. Inasmuch, Moore's performance may be the first "historically" informed interpretation of these works. In addition to this interpretative judiciousness, in Moore's performance we also bear witness to an abundance of elegance, like a great actor reading an epic poem. The New York Times writes ‘Lisa Moore has always been a natural, compelling storyteller’ while TimeOut New York describes her as ‘the wonderfully lyrical pianist’. Lisa Moore has released 10 solo albums (Cantaloupe, Orange Mountain, IGM, Tall Poppies, Bandcamp) ranging from Leoš Janáçek to Philip Glass. Her 2016 album The Stone People (Cantaloupe), featuring music by John Luther Adams, Martin Bresnick, Missy Mazzoli, Kate Moore, Frederic Rzewski, and Julia Wolfe, made both The New York Times Top Classical Albums of 2016 list and Naxos’ 2017 Critics’ Choice. Ms. Moore has recorded more than thirty collaborative discs (Sony, Nonesuch, DG, BMG, New World, ABC Classics, Albany, New Albion, Starkland, Harmonia Mundi, Bandcamp). She has worked with over 200 composers and performed globally as both a soloist and a collaborator with a large and diverse range of musicians and artists including the London Sinfonietta, Chamber Music Society of Lincoln Center, New York City Ballet, Steve Reich Ensemble, American Composers Orchestra, Bang On A Can All-Stars (founding member ‘92-’08), Paul Dresher Double Duo, So Percussion, Australian Chamber Orchestra, Grand Band, TwoSense, and Ensemble Signal. Festival highlights include Lincoln Center, BAM Next Wave, Tanglewood, Aspen, Chautauqua, Gilmore, Huddersfield, Holland, Graz, Paris d'Automne, Rome, Milan, Turin, Hong Kong, BBC Proms, Southbank, Adelaide, Perth, Brisbane, Sydney, Melbourne Metropolis, Israel, and Warsaw - in venues - Carnegie Hall, Royal Albert Hall, La Scala, Musikverein, and the Sydney Opera House. Through his operas, his symphonies, his compositions for his own ensemble, and his wide-ranging collaborations with artists ranging from Twyla Tharp to Allen Ginsberg, Woody Allen to David Bowie, Philip Glass has had an extraordinary and unprecedented impact upon the musical and intellectual life of his times. The operas – “Einstein on the Beach,” “Satyagraha,” “Akhnaten,” and “The Voyage,” among many others – play throughout the world’s leading houses, and rarely to an empty seat. Glass has written music for experimental theater and for Academy Award-winning motion pictures such as “The Hours” and Martin Scorsese’s “Kundun,” while “Koyaanisqatsi,” his initial filmic landscape with Godfrey Reggio and the Philip Glass Ensemble, may be the most radical and influential mating of sound and vision since “Fantasia.” His associations, personal and professional, with leading rock, pop and world music artists date back to the 1960s, including the beginning of his collaborative relationship with artist Robert Wilson. Indeed, Glass is the first composer to win a wide, multi-generational audience in the opera house, the concert hall, the dance world, in film and in popular music – simultaneously.